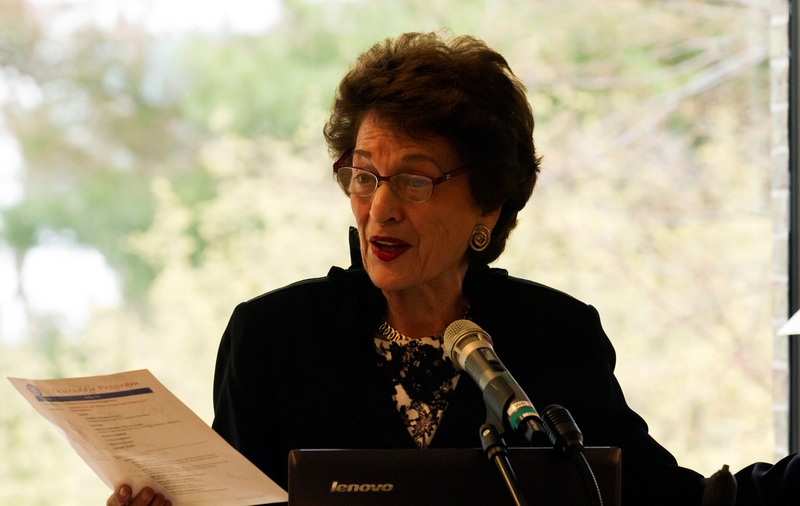 Hofstra Law and the Hofstra University community are saddened by today’s news that Judith S. Kaye, the first woman named to New York’s highest court and the first to serve as the state’s chief judge, has died. Judge Kaye was a good friend to Hofstra and a frequent guest on campus. In 1999, she delivered Hofstra Law’s Annual Lichtenstein Lecture in Legal Ethics, “Safeguarding a Crown Jewel: Judicial Independence and Lawyer Criticism of Courts.” She returned to campus in 2001 to receive an honorary degree and speak at Hofstra Law’s spring commencement. More recently, in 2013 and 2014 she worked with Professor Andrew Schepard, other members of the Hofstra Law faculty and Hofstra Law students to organize the Leadership Summit on School-Justice Partnerships: Keeping Kids in School and Out of Court. The summit brought together more than 250 school teachers and administrators, attorneys, government officials, members of the judiciary, and local leaders to discuss promising and emerging practices and policies in education and the justice system. 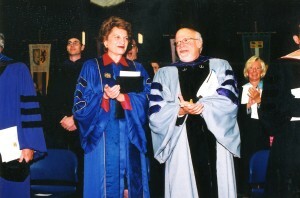 Judge Kaye with President Rabinowitz at Hofstra Law’s spring Commencement in 2001. 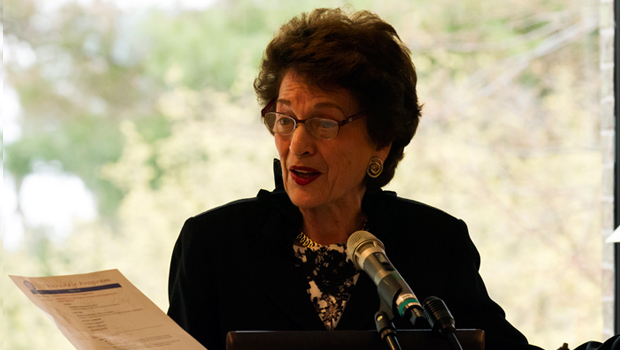 Judge Kaye at the New York State Leadership Summit on School-Justice Partnerships held at Hofstra Law in April 2013.